FACT CHECK: Are 5 Million Bikers Heading to D.C. to Demand an End to the Russia Investigation? Are 5 Million Bikers Heading to D.C. to Demand an End to the Russia Investigation? A video of a group of motorcyclists has been repeatedly shared over the years with unfounded claims about what it depicts. A video shows 5 million bikers on their way to Washington D.C. to demand an end to the Russia investigation. This video does not show 5 million bikers on their way to Washington D.C. to confront Robert Mueller. First off, the stated number of bikers is almost absurd considering only about 8.4 million motorcycles were registered in all of the United States in 2017. For this claim to even be plausible, it would require that nearly 60% of all motorcycles owned in the U.S. be involved in the rally. Second, this video is several years old. If it truly does show five million bikers on their way to arrive in Washington D.C. in mid-2018, then these motorcyclists are either attempting to set a record for the slowest-moving rally in history or they’re supremely lost. The earliest posting of this footage that we could uncover was posted on 9 November 2016 by the Twitter account @bikers4Trump. At the time, the video was shared with a threatening message aimed at a “Trump Protest” as well as a request for donations. 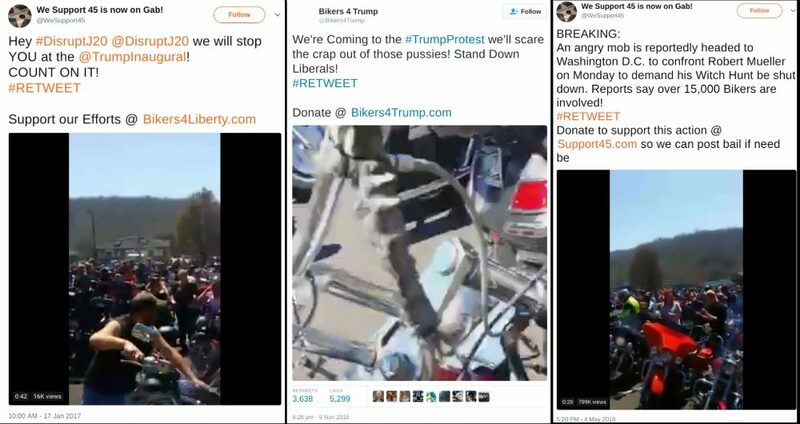 A month later, the Twitter account @WeSupport45 shared the video again, this time claiming that these bikers were heading to Trump’s January 2017 inauguration. 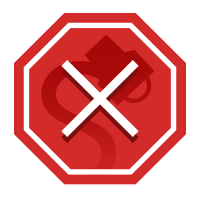 While the claims associated with this footage have changed over the years, all of these sharings have been accompanied by a request for donations. 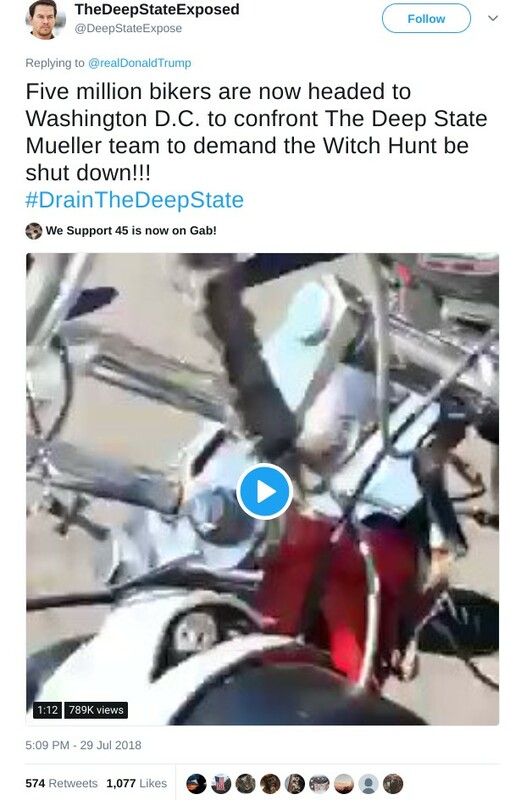 We have not been able to pinpoint the exact origins of this video, but it certainly doesn’t show five million bikers on their way to Washington D.C. in August 2018 in order to confront Robert Mueller and demand an end to the Russian interference investigation. This footage is several years old and has repeatedly been shared with unfounded and controversy-driven claims in an attempt to get viewers to part ways with their money. Insurance Institute for Highway Safety. August 2017.